Properties like this one don't come along every day - it's our Deal of the Week! This year-round home in Newport, City, Vermont has a spectacular 300' of frontage on Lake Memphremagog and offers unparalleled views of the lake, mountains and surrounding landscape. The home sits on .79 landscaped acres and includes three bedrooms and a full bath. Ready for you to move right in, as being offered completely furnished. Such a private setting yet just minutes from local dining & shopping, the Newport Country Club and Jay Peak! Click here for more information and contact Steve Peacock for a private showing. 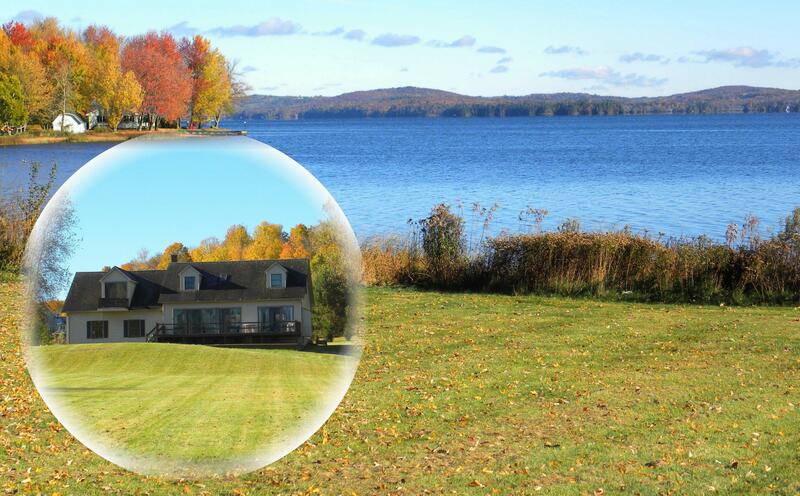 Our Deal of the Week has the best views of Lake Memphremagog around! Located high on a 3.84 acre lot, this 3 bedroom, 2 bath home in Newport City, Vermont is close to all of the city conveniences. There is a 2nd kitchen and a bathroom in the finished walk-out basement and this could easily be turned into a separate living area or in-law apartment. Priced below town assessment at $220,000. Click here for more details and call John Rowe to see this property. This beautifully renovated 1912 Victorian home in Newport City, Vermont is our Deal of the Week! The four bedroom, two full bath home features a wrap-around porch and second-story covered balcony - both perfect to enjoy your view of Lake Memphremagog which is just across the street. Inside you will find hardwood floors, ornate woodwork, decorative tin ceilings, built-in cabinets, custom blown glass chandelier and stained glass windows. The kitchen and baths have been updated and there is a newer oil/wood furnace. Detached 2 car garage has overhead storage. Located on a quiet street that is within walking distance to the recreational bicycle path, Prouty Beach, schools, shops and restaurants. $199,000 Click here for more information and contact Connie Isabelle to see this property. This pretty renovated Victorian duplex in Newport City, Vermont is our Deal of the Week! Three bedroom unit with one bath & two bedroom unit with one bath, both with 3-season porches, come fully furnished and with new appliances. Take a look inside to see the beautifully maintained original woodwork. 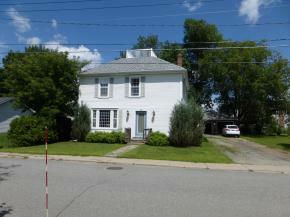 This home is conveniently located within walking distance to Main Street and Lake Memphremagog. A great investment/rental property, or live in one and have the other pay your mortgage! Priced below assessment at $99,900. Click here for more information and contact Micheline Cote to see this property. Take a look at this newer home in Pine Bluff Estates, Newport City, Vermont - it's our Deal of the Week! 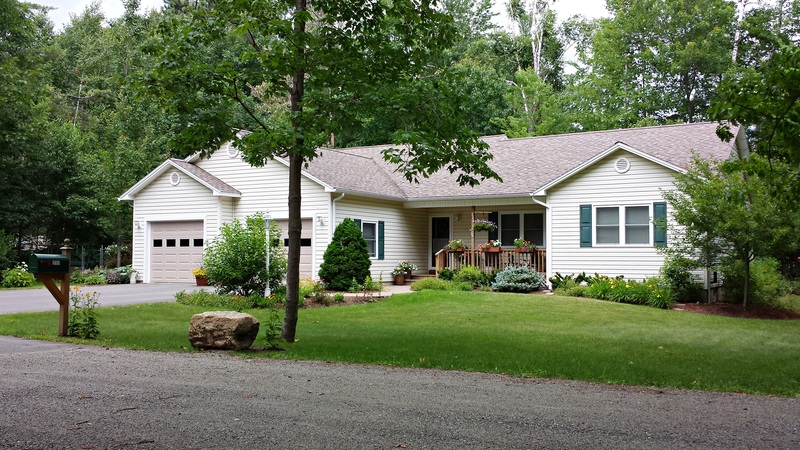 One level living in this three bedroom, two bath home, including a master suite. Open floor plan with hardwood floors and stainless steel appliances. Want more room? The unfinished basement can easily be turned into additional living area to your liking. This property has shared access to 1200' of frontage on Lake Memphremagog. Close to hospital and bike path.....what more could you ask for? $198,000. Click here for more information and contact John Rowe to see this property. Calling all developers, contractors and entrepreneurs - the former Sacred Heart School & Convent in Newport City, Vermont is for sale & it's our Deal of the Week! This landmark property consists of a large open athletic field, 35,322 sq. ft. school building and 12,708 sq. ft. convent on 8.51 acres overlooking Lake Memphremagog. The large open acreage is just a short walk into Downtown Newport. Much potential here for development of a scholastic, retreat or art center, senior housing & other similar uses. Now is your opportunity to bring your business to this spectacular location! This property recently underwent a significant price reduction and is now offered at $925,000. Click here for more information and contact Connie Isabelle to see this property. This newer home (2014) in Newport City, Vermont is our Deal of the Week! Tiled entrance with half-bath flows into the open living/dining/kitchen area - soaring ceilings & so much light! 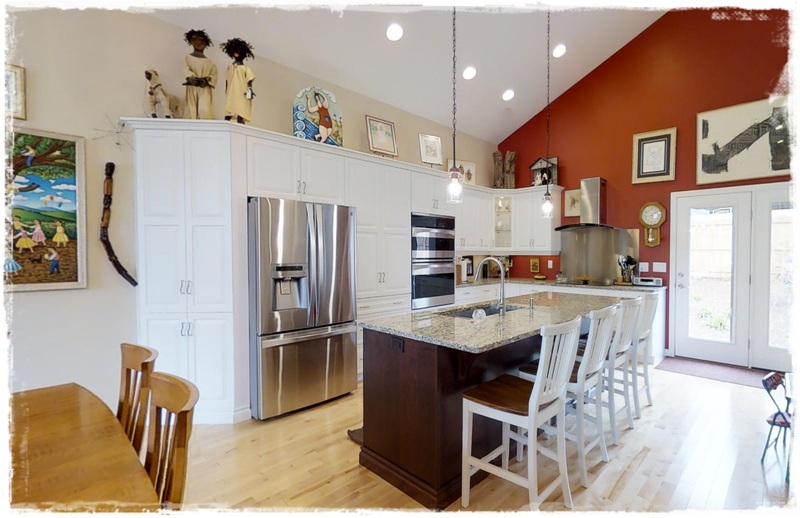 Gourmet kitchen with granite island, stainless steel appliances and custom cabinets. First floor master suite with handicap-accessible shower and large walk-in closet. Upstairs you will find two more bedrooms and a large full bath. Want more living space? The unfinished heated basement awaits your plans! This home has central AC and an attached 2-car garage. Nicely landscaped yard & great neighborhood. The price of this property was recently reduced almost $40,000 and is now being offered for $189,900. Click here for more information and contact Bruno Marquis to see this fantastic home! This beautifully custom designed ranch in Newport City, Vermont is a Must See......it's our Deal of the Week! The executive style home has spacious rooms making it perfect for entertaining. The great room has cathedral ceilings and a gas fireplace and there is a three-season insulated sun room that could easily be converted into a year-round porch, with an added heat source. The master suite has a large walk-in closet. Includes two more bedrooms and four baths (2 full and 2 half). The large finished basement has a family room, office/studio, workshop, half bath and potential for in-law apartment with private entrance. Oversized two car garage with plenty of storage. The .51 acre lot is nicely landscaped. Enjoy your perennials from your large deck! Want more? There's shared access to Lake Memphremagog! What are you waiting for? $279,900 Click here for more information and contact John Rowe to see this wonderful home. SIGNIFICANT Price Reduction on this lovely Newport City, VT home with 200 feet of private Lake Memphremagog frontage - it's our Deal of the Week! Boat directly from your back yard or just enjoy the spectacular views from the privacy of this spectacular property!! This three bedroom four bath home sits on 5.23 acres and offers family room, eat-in kitchen and attached 2-car garage with a finished bonus room above. All the privacy you want on this lovely property yet just a short drive to Main Street, Newport City. Recently reduced - now $375,000. Want even more space? The property can be purchased with a total of 8.8 acres including a detached, heated garage with room for 6 cars and an RV for $475,000. Click here for more information and contact Dan Maclure to see this property. This Newport City, Vermont home is our Deal of the Week! Fantastic location in nice neighborhood - walk to town, school, hospital and Prouty Beach. Three bedrooms, 1.5 baths. Beautiful hardwood floors. Detached 2-car garage. This is a great home to raise your family in and is affordably priced at just $129,900! Click here for more details and call Dave Campbell to see this pretty home.